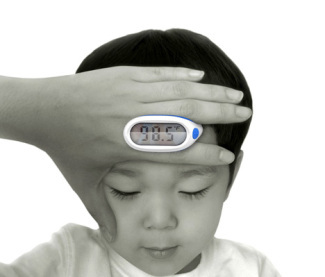 A new thermometer has been designed by Duck Young Kong in which a hand wearing the device is placed on the head in order to get an accurate temperature reading. 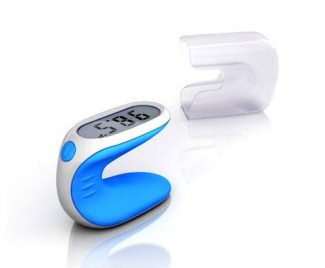 Named the Lunar Baby Thermometer, this device simply checks the ailing person’s temperature without any uncomfortable intrusive methods. Once the device is placed on the forehead, it will let the user know it’s done by a beeping sound followed by flashing LED alerts. The temperature can clearly be seen on the screen while still holding the device to the forehead. This device looks simple enough to use. As you can see you only need to hold it between two fingers up to someone’s forehead, wait a little bit, and there you go. No inserting thermometers in places they weren’t meant to be.